Spouses of skilled immigrant workers may soon be unable to work in the United States. One-fifth of H-4 visa holders who are allowed to work reside in California. The change could especially impact companies like Qualcomm that rely on skilled foreign workers. Spouses of skilled immigrant workers may soon be unable to work in the United States. The U.S. Department of Homeland Security has indicated that it intends to undo an Obama-era regulation that allowed spouses of H-1B visa holders to work. The new rule is undergoing review and will be submitted to the White House Office of Management and Budget within three months, according to a Sept. 21 court filing. The proposed change has sent the future of thousands of families into flux, and could also have economic repercussions in parts of California with high numbers of these skilled foreign workers. H1-B visas permit U.S. companies to hire skilled foreign workers. Their spouses are allowed to accompany them with dependent visas, called H-4 visas. H-4 visa holders weren’t allowed to work until 2015, when the Obama administration said they could get work permits if they were in line for green cards. Indians accounted for more than 75 percent of H-1B visas in 2017, but can receive no more than 7 percent of green cards given out by the U.S. government annually. This has resulted in more than decade-long waits for green cards among Indians. The Obama administration rule to allow these spouses to work was intended to alleviate the financial burden on H-1B families while they wait in line for more permanent status in the country, so these skilled workers wouldn’t give up on waiting and leave for other countries. Ninety-three percent of H-4 holders with employment authorization are Indian, and 5 percent are Chinese. Nearly all – 93 percent— are women. One-fifth of these visa holders who are allowed to work reside in California, according to the Congressional Research Service analysis. By the end of 2017, U.S. Citizen and Immigration Services had approved 126,853 H-4 visa holders to work. Save Jobs USA, a group of American computer workers who were employed at Southern California Edison until they were replaced by foreign workers with H1-B visas, has sued over the work authorization, arguing it would increase competition for domestic workers. They appealed the case after it was dismissed by a federal court in 2016. H-4 visa holders in San Diego, who say they need to be part of a two-income household to stay here, have been thinking about their options if the rule is changed. Tara Kamalapur moved to San Diego from India in 2012 to be with her husband, who was working here on an H1-B visa. 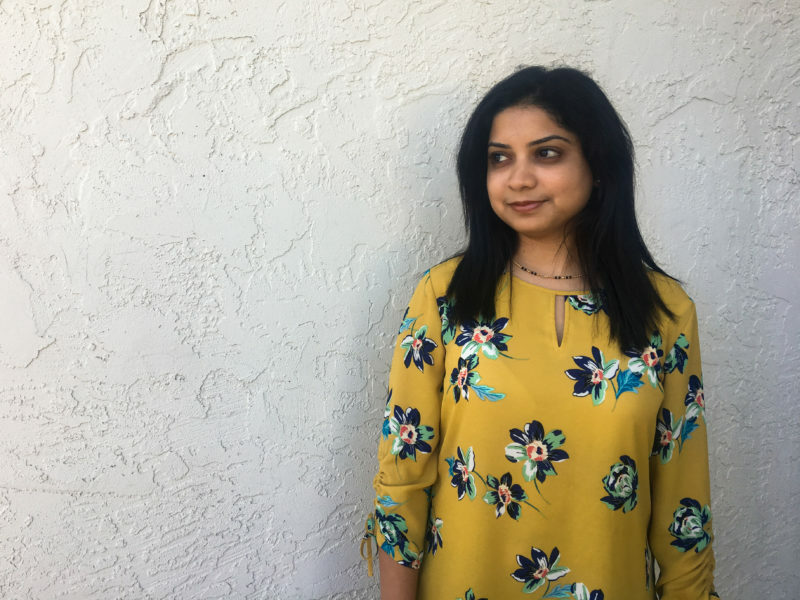 Kamalapur already had her master’s degree, but couldn’t work, so she decided to get a second master’s at San Diego State University. Approaching graduation, she considered options that would let her work, such a program that allows foreign students to work temporarily in a job related to their area of study. But when the Obama administration extended work authorization to H-4 holders in May 2015, Kamalapur applied almost immediately. She got an internship at a health care company in IT project management and has become a full-time project manager at the company in the years since. With the two incomes, Kamalapur and her husband decided to buy a second car, a home and her husband decided to go back to school part-time to get a second master’s in business administration. “These things were all possible because I was able to start working,” Kamalapur said. Kamalapur said she’d have to stop working if the rule is rescinded because her field wouldn’t fall into a “specialty occupation” required by H1-B visas. “If the rule gets revoked and I have to stop working, I’m not sure how we’ll be able to manage the mortgage payments, the second car payments and my husband still has one year to complete his MBA,” she said. Kamalapur said she and her husband now have daily discussions about what they will do if her employment authorization is rescinded. If she can’t work, she said, they’ll have to consider either going back to India or moving to a different country where she will be able to work. In 2014, Pooja Vijayakumar, a researcher at the University of Limerick in Ireland, and University of Tennessee Professor Christopher Cunningham surveyed hundreds of Indians in the U.S. technology sector whose spouses couldn’t work, because the work authorization program was not yet in effect. It found several negative impacts on spouses, including financial issues, frustration, loss of respect, low confidence, boredom, social isolation and domestic tension. “The dependent visa situation and significant delay we had in getting the green card almost destroyed my professional wife’s confidence to such an extent its now impossible to imagine a job leave alone a career,” said another. Vijayakumar said Indian society gives more weight to a husband’s role in the household. Vijayakumar said she expects families and couples to experience the same effects if the program ends. In a letter to the Department of Homeland Security Wednesday, Sens. Kamala Harris and Kirsten Gillibrand voiced similar concerns if the program ends. “Rescinding the H-4 rule would create a permanent barrier to employment – including self-employment – for these women, reinforcing a harmful stereotype that women do not belong in the workplace and widening the gender equality gap,” the senators wrote. Before Sheetal Bangalore Srikumar switched to an H-4 visa, she and her husband faced grueling 90-minute daily commutes. In order for workers to obtain an H1-B visa, a company needs to sponsor their application, which then needs to be approved by the government. That means the recipient is tied to that company in that place. If a visa holder wants to transfer to another company, that other company would need to sponsor him or her. Bangalore Srikumar’s husband had an H1-B sponsored by Qualcomm. She also had an H1-B, but one sponsored by a company in a different city. They lived in Irvine, between their two jobs. An H-4 visa allowed Bangalore Srikumar flexibility. She didn’t need to find a company to sponsor her. She just had to find a job she was qualified for. H-4 visa holders with work authorization can also start their own businesses; H1-Bs cannot. Kimberley Robidoux, a senior attorney at Maggio Kattar Nahajzer + Alexander P.C. in San Diego who works with companies on immigration issues, said small or medium-sized companies are often hesitant to sponsor H1-B visas because filing fees add up to around $5,000 or $6,000 per person. But hiring a worker with an H-4 authorization isn’t much different than hiring a U.S. worker, she said. John Skrentny, a sociology professor at the University of California, San Diego, said it’s hard to gauge the specific local effects of ending H-4 work authorization, but he expects it will have an economic impact in San Diego. Skrentny said that companies like Qualcomm use H1-B visas to find the most talented workers they can. This is important, he said, because talented people tend to marry talented people. They also have lots of options as to where they can go, so if their spouses have trouble finding work in the United States and it negatively impacts them financially or emotionally, it won’t be difficult for them to find jobs in other countries. A survey of nearly 2,500 H-4 holders with work authorization conducted by SaveH4EAD, an advocacy group made up of H-4 visa holders with employment authorization, found that H-4 visa holders with work authorization were indeed skilled and highly educated. The survey found 59 percent of respondents had a postgraduate or professional degree, and 96 percent had at least a bachelor’s. Skrentny said not allowing these educated spouses to work the United States may send talented workers out of the country. According to a 2012 Brookings Institute study, San Diego’s Qualcomm is the fifth-largest user of H-1B talent among major U.S. multinational companies. In 2010 and 2011, San Diego County was the nation’s 15th-largest user of H-1B employees. In a March letter to the Department of Homeland Security, 15 of California’s representatives to Congress, including San Diego Rep. Juan Vargas, urged the agency not to go through with its plan to revoke work eligibility for spouses of H-1B. “Over 10 million Californians are foreign born, and without them we would not have companies such as Google, Apple, Facebook, and Qualcomm which have made California’s economy the 6th largest in the world,” the letter read. Skrentny said he expects the potential rule change to hurt San Diego more than a place like Silicon Valley because San Diego has fewer companies that sponsor H1-B visas that the spouses could essentially use to stay here if they lose work authorization as H-4 visa holders.